Apple introduced system-wide support for USB webcams in the Mac OS X 10.4.9 update. 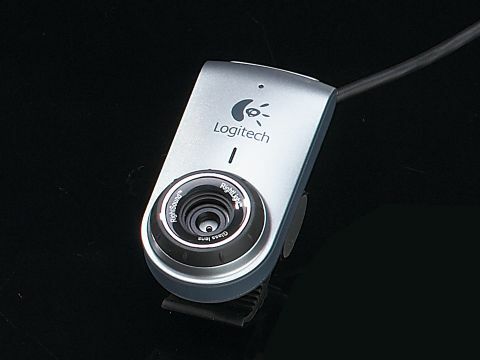 So, even though on Logitech's site this camera and others don't appear to be Mac compatible, they are, and Logitech has either not picked up on this or just needs to update its web pages. Either way, it produces good webcams and we know there are plenty of you out there without built-in iSights, judging by the emails we get about them. This is a budget version of the QuickCam Deluxe. There's a Pro version with a Carl Zeiss lens, but we liked this one - it does the job and produces a clear picture. No driver is necessary as it has OS-level support, and it just appears as an option in iChat, Skype and all the rest. Focusing is manual - you need to twist the lens - but it's sharp and easy to use. The price is a little high for this specification but it was reliable throughout our testing.